Mercury Jets provides on-demand private air charters from Boston to Los Angeles. This transcontinental private jet charter route is one of the most widely used by Boston business executives and leisure travelers who choose to vacation in sunny Southern California. Van Nuys (KVNY) is the most popular airport choice for private charter flights. Other airports that serve this route include Los Angeles International (LAX) on the west side of Los Angeles, Hollywood Burbank Airport (BUR), closest to Hollywood and downtown Los Angeles, Long Beach Airport (LGB), John Wayne Airport (SNA), Santa Monica Municipal Airport (SMO), and LA/Ontario International Airport (ONT) in San Bernardino County, only 38 miles from the city. Heavy jets such as the Bombardier Global 6000, Dassault Falcon 7x, and the Embraer Lineage 1000E offer ample seating and a spacious configuration for larger groups. Heavy jets have unmatched versatility with the ability to carry up to 19 passengers in comfort. 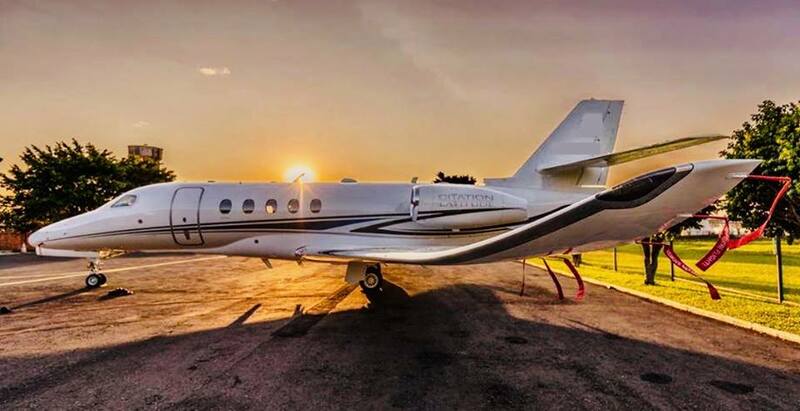 Mercury Jets can match the specific purpose of the flight, whether it be for business meetings, privacy or to maximize the comfort and enjoyment of amenities that come standard with this class of jet. At a cruise speed of 564 miles per hour, the Bombardier Global 6000 is capable of flying high above that of most commercial airliners, with a ceiling of 51,000 feet. The Global 6000 is frequently configured with three seating areas. The placement of windows on the fuselage maximizes natural light in the cabin, greatly enhancing the interior design aesthetics. The Dassault Falcon 7x is a large-cabin, triple-engine, long range business jet manufactured by the French-based Dassault Aviation. With a capacity to carry up to 18 passengers, the Falcon 7x cabin is one of the most comfortable available. Temperature, lighting, and entertainment can be controlled in the cabin which is separated into three zones. With the ability to configure the cabin from dozens of options, the Embraer Lineage 1000E is one of the best options for clients who desire the best versatility and luxury has to offer. Heavy jet amenities include Wi-Fi, digital entertainment, catering, a full galley and flight attendant service. Super Midsize jets such as the Cessna Citation Sovereign, Gulfstream G280 and the Hawker 1000 offer passengers for a comfortable transcontinental flight to Boston. A spacious cabin design allows passengers more room to move about, relax, or work during the flight. Private jet charter clients who fly from Los Angeles to Boston enjoy flying in Cessna’s Citation Sovereign. This sleek jet offers speed and comfort with its capability to fly at Mach .75 while delivering a smooth ride to The Golden State. The Gulfstream G280 features include a range of 3,600 nautical miles and 100 percent fresh-air circulation and a cabin pressurized to a lower, more easily breathable altitude. This feature allows passengers to arrive in Los Angeles well-rested and focused to enjoy their stay in Los Angeles. The Hawker 1000 is well-known amongst Mercury Jet’s private jet charter clients for its spacious cabin and extended range capabilities. This jet has a fully accessible baggage compartment behind the lavatory, which in turn doubles the available baggage space from the previous model. It also features a range of more than 3,000 nautical miles, allowing for nonstop flights coast to coast. Midsize jet options include options for private charters from Boston to Los Angeles include the Hawker 850XP, the Learjet 60XR and the Gulfstream G150. The Hawker 850XP climbs fast and has a range of 2,642 nautical miles. The Hawker 850XP’s performance is a based on its design to climb faster, go farther and perform better than its predecessor. Private jets clients select the Learjet 60XR for its combination of the best of technology and comfort for safe flight travel. This powerful midsize jet can climb at 6,000 feet per minute and has a flight range of 2,269 nautical miles and a maximum cruise speed at 513 mph. The Gulfstream G150 is one of the fastest midsize jets available and has a range of 2,950 nautical miles. Cabin layout options include a club seating layout with two forward-facing seats in the rear of the cabin. Seating configured for seven passengers is frequently selected for the Boston to Los Angeles route. All midsize jets typically seat up to 9 passengers and digital entertainment, a galley and Wi-Fi for in-flight entertainment.